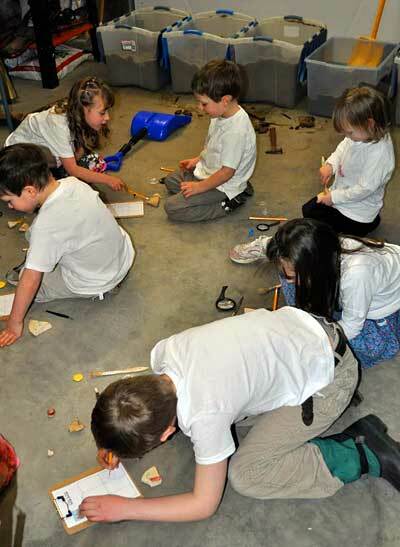 In Archaeologists Dig for Clues, a group of friends accompany an archaeologist on a dig and learn all about what archaeologists do and how discoveries tell us how people used to live. 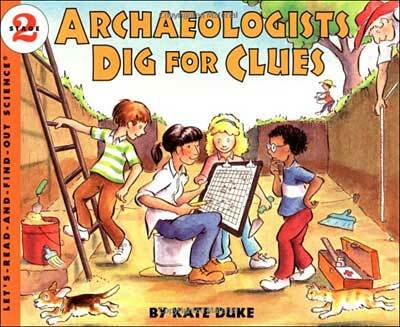 This is a great archaeology kids book-- very clear, very engaging. The explanations are crystal clear and the books has the added benefit of showing the scientific process in action. The children's questions are realistic and Sophie's answers are always clear and age-appropriate. 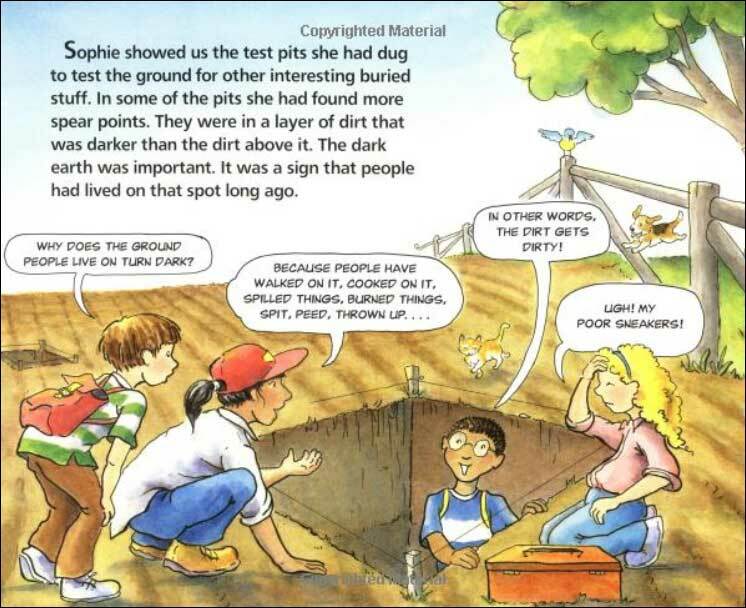 Part of the Lets Read and Find Out Science series, this book is similar in format to the Magic School Bus series, with packed pages, speech bubbles, and more. While this makes the book more challenging to use in read alouds, it is so full of fun and interesting facts that we highly recommend it, especially in light of the overall lack of kids books on this subject of this level. For younger children, this book will need to be a read-aloud rather than for individual reading, as the reading level is too high for children up to fourth grade. (Third graders at the end of third grade may be able to read this book, as the reading level is where many third graders end the school year.) Most fourth graders and older kids should be able to read this book on their own. 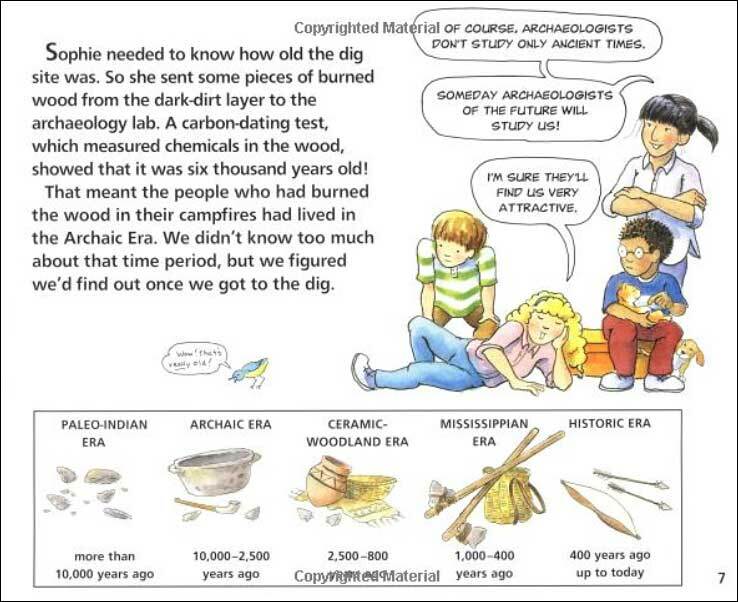 Below are sample pages from inside Archaeologists Dig for Clues. As you can see, between the main text, the speech bubbles, and the informational boxes, there's a lot going on on each spread. This first spread is the first in the book. 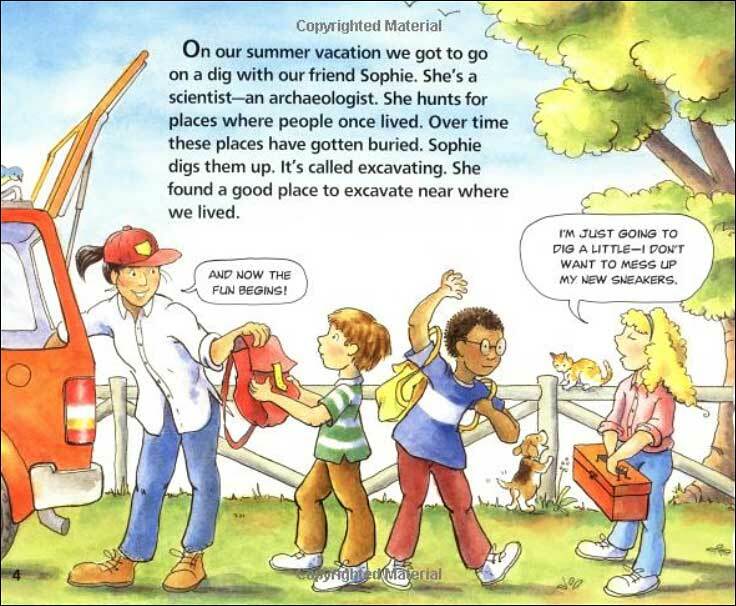 It sets the scene, explaining that the kids are accompanying their archaeologist friend on a local dig over their summer break. 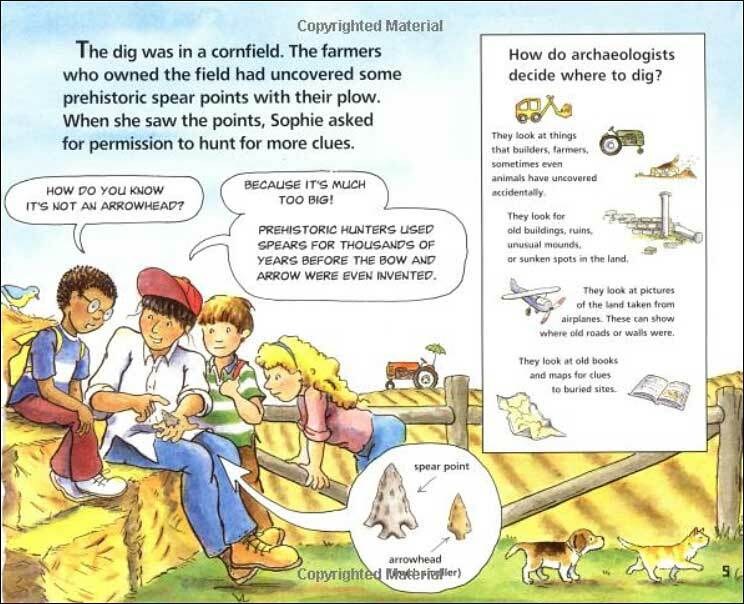 This spread also explains how Sophie, the archaeologist, knew to dig for artifacts in this location.